Its smooth action and retractable tape make the popular Henselock measure so easy to use. Itﾒs ideal for measures up to 1.9m in length. 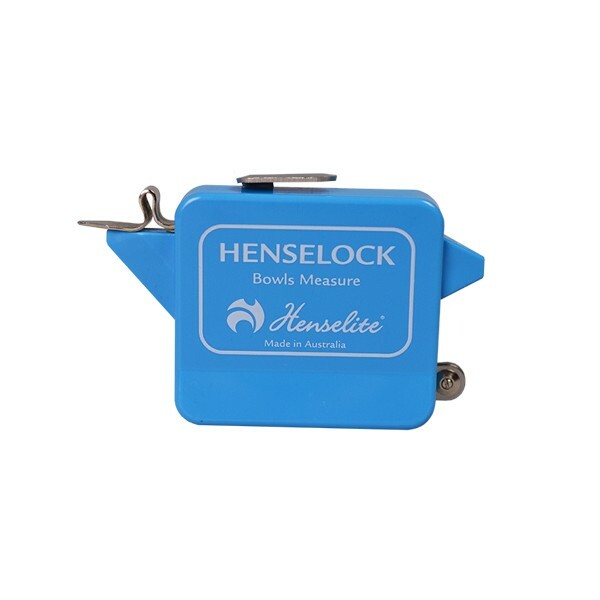 The Henselock Measure has a durable, moulded casing and a rustproof, steel-coated tape 1.9 metres in length (6'2"). The Henselock Measure also includes separate callipers for a close measure which store away tidily inside the measure casing. © 2017 Bowls Online NZ. All Rights Reserved.